According to court records, the parents married in August 2002, had one child together, born in January 2005, and dissolved their marriage in March 2007, when the child was 2. Pursuant to the divorce settlement, father was ordered to pay $160 weekly in child support, and was also allowed to claim the child as a dependent for tax purposes every other year. He was initially allowed 80 overnight visits annually, but mother later agreed to allow him to double that number. 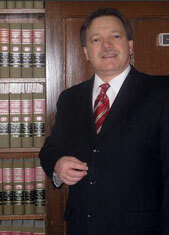 Still, his support obligations remained the same until June 2009, when both parties agreed to reduce it to $135 weekly. Our Gary family law attorneys note each still agreed paid a portion of health insurance and day care costs. Father remarried and moved closer to the child, meaning he unofficially increased his parenting time, helping more with the child before and after school and on mother’s parenting days. Thus,the child did not require daycare before and after school, though he continued to pay the mother child support for two years for this purpose. In July 2013, he filed a petition to modify, requesting a reduction in support to reflect the decrease in child care costs. He did not claim credit for past daycare expenses for which he’d paid that hadn’t been used, but did seek to lower his weekly support payments to $60. The trial court and mother conceded the worksheet allowed for a reduction of this degree, but noted the father’s other tax credits (for new wife and child) amounted to $3,800 annually, and she would theoretically have to pay for all uninsured medical expenses for their child. Therefore, she argued the trial court should deviate from the worksheet, and make him pay more. The court agreed, obligating him to pay $105 weekly. The court reasoned that at $60 weekly, the father would paying roughly half the annual expense of the mother. However, the appellate court reversed, finding this reasoning flawed. While the trial court weighed only that $60 weekly, the evidence did not show this was the only contribution father was making to the child’s care. The court disregarded the increase father’s overnight visits, during which his own costs increased. When the appellate court factored in this element, it turned out that at $60 a week, the father was in fact paying 55 percent of the child’s weekly expenses. Plus, the court figured that based on the previous payments father had made to the mother for daycare that was never used, he would be owed roughly $92 weekly for those two years. Finally, the appellate court ruled the trial court erred in eliminating father’s right to claim his child as a dependent on his taxes every other year.